The Chrysler brand name has been renowned for decades for being an example of top-quality American built luxury, starting from the Imperial model in the 1950s. Today, NJ Car Leasing continues to offer that famous make of automobile to its myriad clients at rates that no other agency in New Jersey can even approach. 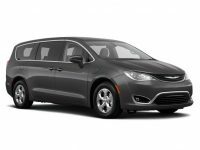 Any recent model of Chrysler — be it the Town and Country Minivan, the 200 Convertible or the 300 Sedan — is available immediately, straight from our affiliated dealerships, and can be delivered to your door right away at no additional charge. We cut out so much overhead with our revolutionary online auto leasing system that our rates are by far the lowest available anywhere in the area, and this also means that our selection is without peer in New Jersey. And the process couldn’t be simpler! Start by going to our vehicle selection page to find the car you want to lease. Once you’ve found it, fill out the application form. We’ll then run a fast credit check, and negotiate with the lenders and financial institutions with whom we’re affiliated to find the best financing deal and interest rates we can offer you! Once you’ve accepted the contract, just tell us where you want your new vehicle sent, and we’ll have it delivered to you directly! It doesn’t get easier, faster, or more economical to lease an auto than with NJ Car Leasing, so start today! Call 201-720-7316 for a quick quote on the car you want to lease, then start applying for your new automobile today! There’s never been an auto lease agency quite like NJ Car Leasing, and that’s directly a function of our having introduced the industry transforming all electronic vehicle procurement solution! The system that we employ makes it possible to boast huge improvements in the areas of price, selection and convenience. We’ve already explained above how our system makes for consummate convenience when you’re applying for your lease. But also as far as price is concerned, our process lets us reduce overhead costs to the point that we save large amounts of money, which gets passed on to you in the form of huge savings on your monthly rates! Since we don’t have to pay rent, upkeep or security personnel on a car lot, that’s one huge savings right there. Since we don’t have to maintain a physical fleet of vehicles, we don’t have to pay for the cars themselves nor upgrade them every new model year at a potential loss! These are gigantic savings and are reflected in the rates that you pay being lower than what you’d find at any competitor. 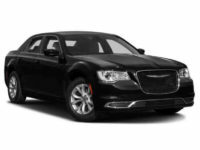 And our selection of Chrysler and other automobiles is second to none! 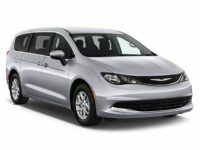 Since we don’t keep a fleet of actual vehicles for lease, we instead have partnerships with Chrysler and other dealers throughout the state of New Jersey, and offer their stock of automobiles as our leasing fleet. That means that whatever model you’re interested in, we’re guaranteed to not only have it available but generally have it in the color and with the factory options that you prefer! Call us today to find out more, or if you’re already convinced, get started picking out your dream vehicle on our Chrysler selection page!